The federal government needs to do a better job of ensuring that people with disabilities can contribute to their missions. The government should also revise its classifications of disabilities, and ensure that people on the autism spectrum are given fair opportunities for employment in the government. Most federal agencies have virtually ignored the Schedule A hiring authority, a federal program used to “hire people who have a severe disadvantage in getting employment.” Schedule A was developed by the government to help reduce the more than 70% unemployment rate of people with disabilities. These are people who want to work and are more than capable of working. Several years after federal agencies were made aware of their lack of action on the Schedule A issue, there has been little if any action taken. I submitted Freedom of Information Act requests to all federal agencies asking how many times the Schedule A was used to hire people with disabilities. HHS reported that it hired 213 people with disabilities through Schedule A from 2000 to 2008. 198 had physical disabilities; 15 had cognitive disabilities, and not one had a psychiatric disability. The Department of the Interior, which has 75,000 employees, used the Schedule A to hire exactly three people with disabilities. From 2003 to 2008 the Department of Commerce hired 36 employees with disabilities under Schedule A. All were in the physical category except for one in the psychiatric category (none were hired with cognitive disabilities). Commerce has 36,000 employees. The government needs to be proactive in hiring people with disabilities, including those with developmental disabilities. In the hundreds of pages of responses I received from government agencies, not once was there a mention of someone hired who had autism. In the descriptions of disabilities listed by agencies in their responses, the term “autism” never came up, though many agencies did not go into detail. The classification of disabilities under Schedule A excludes most people on the autism spectrum. The government lists people with disabilities in three categories. The first, “severe physical disability,” would only sometimes apply to a person with autism. Finally, the third category, “psychiatric disability” does not cover all those with autism, which should be classified as a “developmental disability,” a term that would be much more accurate and inclusive. The government should ensure that people with autism and other disabilities are adequately represented in federal agencies. Please spend one minute of your time and go to www.coachmike.net, click on the special report, and look for yourselves. You may say that it costs too much to include people with disabilities in the workforce. But in fact, it costs too much not to do it. Brett Favre – Greatest Player in the History of the World? This Brett Favre thing is getting pretty old. Every year he says he’s going to retire only to come back. For someone considered such a tough guy, he sure acts like a diva. Actually he is tough – he never misses a game. But he has to be one of the most overrated players ever. He’s had a great career, but it gets a little tiring to hear the John Maddens, Tony Kornheisers, and other members of the media constantly fawn over him. Actually, if any other quarterback did the things Favre regularly does – throw off his back foot, throw into triple coverage – basically make a lot of dumb plays – He would be considered much less of a player. Favre has won slightly more playoff games than he’s lost (12-10) but he’s choked big time in several playoff games. He threw 6 interceptions in a loss to the Rams in 2002. The next year, Favre’s Green Bay Packers lost at home to Michael Vick’s Atlanta Falcons after being undefeated at home. I don’t think Favre belongs in the same sentence as all-time greats Joe Montana and John Elway, and I’ll only put him on the same level as Dan Marino because Favre won a Super Bowl and Marino didn’t. But I still think Marino was better. I strongly believe that Steve Young was better than Favre, and it wasn’t even a contest. Young did everything Favre did but was a much better scrambler and decision maker. Also, the idea that Favre never had great receivers is ridiculous. Just because he didn’t have a Hall of Famer who played 10 years doesn’t mean he didn’t have a lot of talent. Sterling Sharpe was one of the best of his era, and Antonio Freeman was very good too. So were Robert Brooks, Andre Rison, Javon Walker, Donald Driver, and Greg Jennings. Plus he had two great tight ends, Bubba Franks and Mark Chmura. Finally, Favre had a great head coach in Mike Holmgren, and more offensive coaches who went on to become head coaches in the league than just about anyone else, including Steve Mariucci, Andy Reid, and John Gruden. By the way, when quarterbacks such as Favre, Manning and Brady, as well as receivers such as Randy Moss and Terrell Owens put up numbers that are out of this world, let’s remember that passing statistics have exploded in recent years. I originally published the table below at http://www.coachmike.net/artmonk.php last January in my article advocating Art Monk to get into the NFL Hall of Fame. Even football fans often don’t realize that not only was there a huge increase in passing stats during the second 14 years of the Super Bowl era, but that there was an even greater increase in these numbers during the past 14 years. Favre will be in the Hall of Fame. You can’t argue with his numbers. Most TDs, most yards, most consecutive games, 7-1 record in overtime games, etc. But he also holds the NFL record for the most interceptions at 305. And counting. I originally wrote this in August. Byron Leftwich had a great game in relief on November 3, leading the Steelers to a win against the Washington Redskins. You better believe that as good as Ben Roethlisberger is, he won’t sit as long as he can walk because he knows how good Leftwich, a fellow Mid-American Conference (MAC) QB, is. I do feel somewhat vindicated now that David Garrard has led the Jaguars to a 5-9 record so far. I’m kind of shocked that quarterback Byron Leftwich wasn’t signed by an NFL team this year until August 9, when the Steelers signed him to backup Ben Roethlesberger. Leftwich has been criticized for having a very long throwing motion, which combined with his inability to run much hurts him at a time when mobility is increasingly important for NFL quarterbacks. He has a career passer rating of 80.3, and a touchdown to interception ratio of 54-38. Solid but not spectacular numbers. But what about being a winner? Doesn’t production matter? Leftwich was 24-20 as a starter for the Jacksonville Jaguars. Has the NFL changed that much since Leftwich had his best season and led the Jaguars to a 12-4 record in 2005? Everybody acted as if when Jags coach Jack Del Rio replaced Leftwich with Garrard two years ago, that it was a no-brainer. Not only was it not a no-brainer, it was the wrong decision. I heard the most ridiculous thing on Sirius NFL Radio this summer. Former NFL quarterback Tim Hasselbeck said that last year proved Leftwich couldn’t get the job done. He didn’t join the Atlanta Falcons until week 3 of last year so he missed all of training camp, the preseason, and the first two weeks of the season. It’s true that he has a long windup that takes a lot of time, but he has a strong arm, he is still in his prime, and he has been a winner. He led some great comebacks in both college and the pros. It seems like this blog is turning into cases in which I believe that the majority of so-called experts and fans are wrong about certain players or teams. On the subject of quarterbacks, I think Trent Dilfer was a good, solid quarterback who never got enough credit. He had a winning record overall (58-53). He never played for a great team except the 2000 Ravens, and even then the team didn’t have great wide receivers. People always said the 2000 Baltimore Ravens won the Super Bowl despite Dilfer and because of their defense. Unfortunately, this is a label that stuck – that Dilfer just managed the game and that anyone could have won that Super Bowl. If the Ravens defense was so great, why couldn’t they get to another Super Bowl after they let Dilfer go, especially since every year the media says they have a great defense? And the Ravens were 5-3 the first half of that season without Dilfer, including the last four of those games without scoring an offensive touchdown, and 10-1 including playoffs with Dilfer. “Through all the winning seasons, through the playoff runs and the Super Bowl season, in which Baltimore’s defense thrived, the team perpetually lacked the one essential piece that kept it from being a dynasty. It never had the right quarterback. I love the way Carpenter puts the middle sentence on its own for emphasis. Great. So Joe Flacco, at 9-5, is already better than Dilfer, who went 10-1 and won a Super Bowl? Let’s not anoint him just yet. Sorry that 10-1 and a Super Bowl win wasn’t good enough for you. You prefer 10-6 (the Ravens’ likely record this year) and a probable first or second round playoff exit. I admit, what Flacco has done so far is impressive, but don’t put him ahead of Dilfer yet. As far as I’m concerned, I hope that the Ravens never win another Super Bowl. You don’t cut your Super Bowl winning QB in favor of someone (Elvis Grbac) with better stats but less heart and lower leadership skills. Too often, people go for style over substance. (Thank God the Ravens finally got rid of the incredibly pompous and pretentious Brian Billick after the 2007 season). Former Ravens tight end Shannon Sharpe said it was a big mistake to let Dilfer go. I’ve never understood the anti-Dilfer sentiment. He started out his career in Tampa Bay and admittedly didn’t play great, but at least he got them to the playoffs – something that neither Steve Young nor Vinnie Testaverde could do in Tampa Bay. All I know is that none of the Ravens QBs since Dilfer have fared as well, and now they’re starting over with another first round pick. Dilfer went from Seattle to Cleveland to San Francisco, and in each case got passed over in favor of a younger QB who wasn’t as good at the time but seemingly had more potential (Matt Hasselbeck, Charlie Frye, and Alex Smith). Only Hasselbeck turned out to be good, and I’m not so sure Dilfer couldn’t have done the same thing if given the chance in that west coast offense. A few years ago, I had a girlfriend who was a major TV network news reporter. 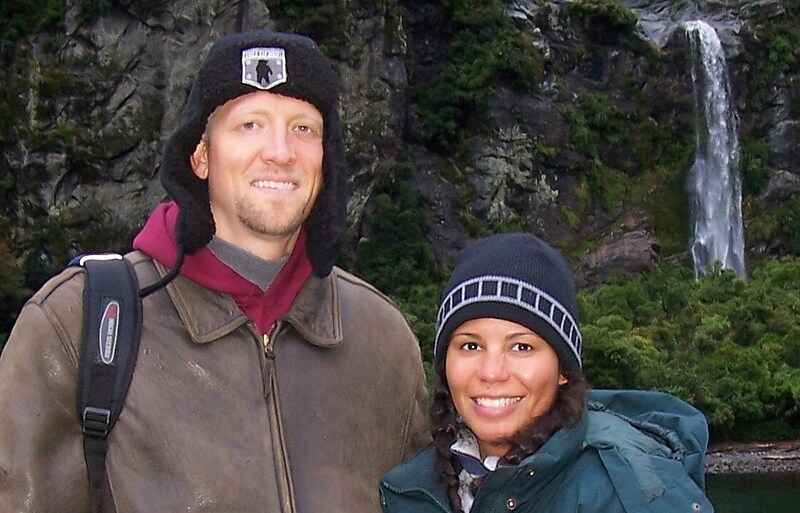 We dated for a year, traveled to Australia, New Zealand, and three corners of the U.S. – Maine, Florida, and Arizona, and almost got engaged. She’s probably one of the best looking women on national news. I broke up with her because I didn’t think we were compatible enough. But the point is that, when we were together, I got a lot more respect from people, probably because of her looks and her status. Getting a huge amount of respect from people when I was with her was somewhat expected, and I understand it – it’s human nature to a certain extent. But the difference between the way some people treated me then and the way they have treated me since then when I’ve been single has been so blatant and over the top. It’s a sad commentary on society that so many people put so much emphasis on looks and status when it comes to how they treat people. Here’s just one example. I had a couple of acquaintances walk right past me on a narrow sidewalk a while ago, pretending not to see me. If I had been with her, there is no doubt they would have stopped to say hi. I’m basically the same person now that I was back then. In fact, I like to think that I’ve improved in many ways. But without someone like her with me, I get a whole lot less respect. It shouldn’t be that way. But it is. (To her credit, she was very down to earth.) The difference between the way I am viewed overall now by certain people as compared to the way I was viewed then, is absolutely astounding. There are people who are so fake and put so much emphasis on looks and status in how they treat people, it’s unbelievable. It’s a good litmus test though, for finding out who your friends really are. Or aren’t. I just think teams are too quick to focus on a flaw rather than whether a QB wins. Doug Flutie, the former Heisman Trophy winner and Boston College star, is a perfect example. They always told him he was too short, and he had to go to the CFL and win three championships and six MVP awards before he got another chance at the NFL with the Buffalo Bills in his late 30s. He proved he could be an effective quarterback but even then he got passed over for more traditional quarterbacks like Rob Johnson. Johnson was a bust. It was a terrible decision to start Johnson over Flutie in the Music City Miracle game in 1999 when the Tennessee Titans beat the Bills on a last second touchdown. Flutie had gotten the team there. It was a classic case of playing a prototype QB rather than someone who won despite how he did it. Flutie later started for the Chargers and retired as a backup for the New England Patriots at 43. Here’s my very subjective list of the Most Beautiful Women on TV news. Of course, it’s biased toward cable because I watch mostly cable, and I know there are many beautiful local reporters around the country (and the world) who I haven’t had a chance to see. The truth is, you could put most of the top 50 on a list in any order and not be wrong. Anyway, I think that personality (at least as much as you can tell on TV), humor, moxie, and intelligence count for a lot so that’s why there are a few non-traditional choices on the list. For example, I think that Karen Finerman and Nicole Chang are amazing. Their pictures aren’t the best but they come across much better on TV. I decided to do this in a single-elimination “tournament” format after ranking the top 16 seeds. See the attached bracket for how things ended up in the fantasy tournament (This is the one area where you can use the word “fantasy” and sports together and it actually fits. I know – I need to get a life). So let’s begin. Sharon Tay, Anchor/Reporter, KCAL, Los Angeles. I think a lot of the women in TV news are good looking but many of them look the same (i.e. the ones on Fox News). Not Sharon Tay. My jaw dropped to the ground the first time I saw her on TV. Forget about TV anchors – I think she is one of the most beautiful women in the world. The only possible downside is that she is only 5-2. Mélissa Theuriau, M6, Paris, France. Often called the most beautiful TV news reporter in the world. You really can’t make an argument against her. She is pretty stunning. Georgie Thompson, Sky Sports. ESPN wouldn’t know what hit them if she came to work for them. She is a superstar. Amy Robach, NBC. She just about has it all. A beauty who became a newswoman who also has a lot of credibility. Jackie Johnson, KCAL and KCBS, Los Angeles. Meteorologist. Classic tall blonde looks. Carmen Dominicci, Univision. Awesome, devastating, exotic look. After four blondes in a row, Dominicci crashes the party. Amy Poehler, Weekend Update, Saturday Night Live. Wow. She is funny and great looking. She has radiant eyes and an unbelievable smile. They will have a very hard time replacing her. Karen Finerman, Fast Money, CNBC. Obviously there are others who have better classic looks. But there’s something about her. She is so cool. She has excellent knowledge. And she is very good looking. Kristine Johnson, WCBS, New York. I haven’t seen her on TV but her pics look pretty great. Brown hair, brown eyes, awesome. Nicole Chang, Sports Action Team. This is a fake show, and she isn’t even a reporter on the show. She’s plays the producer. But she is hot. And humor and moxie rank highly. 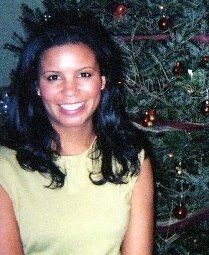 Tracey Neale, former anchor, WUSA, Washington. Both beautiful and cute. Courtney Friel, Fox News. Very solid. I had to include someone from Fox but I think many of them are overrated. Susan Lisovicz, CNN. Classy and older. Represents the financial set along with the Chairwoman. Hannah Storm, ESPN. She is very sharp. She’s gotten better in sports knowledge and looks as she’s gotten older. I didn’t expect to include her but now I can’t keep her out. Her work is absolutely stellar, way better than it was years ago. Play-in game: Norah O’Donnell, MSNBC vs. Campbell Brown, CNN. Who says vanilla is boring? Honorable Mention: Julia Boorstin, CNBC; Contessa Brewer, MSNBC; Erin Burnett, CNBC; Colleen Dominguez, ESPN; Erica Hill, CNN; Robin Meade, CNN; Arthel Neville, KSWB. So here’s how the tournament played out. The newswomen played a one-on-one game of basketball up to 11 – having to win by two. There was one fairly significant upset, and a few minor surprises, but for the most part the games held to form. Check out the brackets. (Obviously, this tournament is purely fictional. Don’t you wish it was real, though?). Norah O’Donnell, MSNBC vs. Campbell Brown, CNN. This was a very evenly matched game. O’Donnell’s tenacity gave her the edge in the end over Brown’s solid decision making as O’Donnell advanced into the main draw. Sharon Tay, KCAL (1) vs. Norah O’Donnell, MSNBC (16). O’Donnell couldn’t keep up with Tay’s repertoire of shots and moves in this one, as the speedy point guard ran around O’Donnell all game long despite O’Donnell trying to post Tay up. Amy Poehler, SNL (8) vs. Karen Finerman, CNBC (9). Finerman pulled the minor upset here – the Chairwoman studied hard and analyzed trends to prepare, using fundamentals to get by. Meanwhile, the spritely pixie had fun and entertained, but jokes didn’t result in a victory. Jackie Johnson, KCAL and KCBS (5) vs. Tracey Neale, WUSA (12). You always have to watch for upsets in the 5-12 matchup and it happened here. Johnson didn’t know what to expect from the underrated, scrappy former DC anchorwoman, who upset Johnson and her superb inside shooting by taking the tall meteorologist outside and playing tough defense. Amy Robach, NBC (4) vs. Courtney Friel, Fox News (13). The opposing coaches, Keith Olbermann and Bill O’Reilly, started arguing before the opening tip and were both ejected, resulting in a ban of all coaches from the tourney. The actual game was much more civil, but wasn’t much of a contest with Robach using her jumping ability and elite athleticism to get past Friel. Georgie Thompson, Sky Sports (3) vs. Susan Lisovicz, CNN (14). The hard working Lisovicz put up a game effort, but this superstar from across the pond possessed superior athletic ability. Thompson’s netball skills translated well to basketball as she sent the classy financial whiz packing. Carmen Dominicci, Univision (6) vs. Nicole Chang, Sports Action Team (11). Dominicci dominated this one from the outset, using quick and precise moves. Chang’s skill at being a Bossy Boots didn’t help sway the refs in this one-on-one matchup. Lisa Sylvester, CNN (7) vs. Kristine Johnson, WCBS (10). This eagerly anticipated matchup of graceful, photogenic stars went to Sylvester in overtime with help from, or perhaps despite, Lou Dobbs’ incessant taunting of Johnson, reminiscent of Robin Ficker heckling opposing players at Washington Bullets games. Mélissa Theuriau, M6 (2) vs. Hannah Storm, ESPN (15). Storm played like her name, making this a surprisingly close battle. She just gets better with age, but Theuriau’s silky smooth, fluid skills did the prolifically talented Storm in. Sharon Tay (1) vs. Karen Finerman (9). In one-on-one battles, quickness and agility usually win out, and Tay’s athleticism proved too much for Finerman, who pored over stats and tendencies to prepare for the game, which was close only in the first half. Critics questioned Finerman’s decision to play in a business suit, while Tay’s short shorts allowed for greater flexibility. Amy Robach (4) vs. Tracey Neale (12). Neale didn’t have much left after the upset of Jackie Johnson. Robach, who never loses her cool, displayed a killer jump shot, and used crossover and spin moves to get to the hoop. Georgie Thompson (3) vs. Carmen Dominicci (6). This one was a double overtime classic. Fans lined up for hours for tickets. Each player had vociferous fan support though Thompson’s UK fans became a little unruly. Dominicci’s aggressive play led her to the Final Four in Hotlanta over Thompson and her creative arsenal of shots. Lisa Sylvester (7) vs. Mélissa Theuriau (2). Sylvester kept this one close, using her trademark great intensity and versatility, but Theuriau had a large contingent of French soccer fans who made the trip to support their countrywoman in the basketball game, inspiring the French star. In the end, Theuriau had a little too much. Sharon Tay (1) vs. Amy Robach (4). Sparks were flying in this matchup, held in Hotlanta, of a national anchor against a local major market star. Tay used her quickness to slash to the basket and create opportunities against the former gymnast, who had Bela Karolyi behind the bench exhorting her on, yelling, “You can doo eet!” Tay withstood Robach’s impressive athletic ability, overcame a 3-point deficit, and drove to the hoop for the game winner to make it to the final. A few L.A. stars even showed up to support Tay as Hollywood beat the Midwest. Mélissa Theuriau, M6 (2) vs. Carmen Dominicci (6). Giving the Final Four an international flavor, French fans flocked to Hotlanta to support Theuriau while raucous Spanish speaking fans everywhere chanted, “Ole, Ole, Ole, Ole” to support the Puerto-Rican born Dominicci. This was a true clash of the titans. Theuriau’s scoring mentality and determination helped her score almost at will at times, but she was a little overwhelmed, perhaps even intimidated by Dominicci. The Univision model-journalist delighted fans by dancing during timeouts, and pulled the upset with strong, polished moves around the basket, getting the win despite playing the first quarter in high heels. Sharon Tay (1) vs. Carmen Dominicci (6). A sold out crowd was on hand in Hotlanta to witness this historic battle of two 40-year old beauties in their prime, and they did not disappoint. Dominicci threw everything she had at Tay, with an impressive array of spin moves, double pumps, fakes, and even rejected the shorter Tay 3 times. However, the relentless number one seed twice stole the ball from the taller Dominicci, driving to the hoop and drawing fouls several times, and used her overall perkiness to win the championship. Tay was virtually unstoppable in crunch time and showed why she is the best. I like Washington, DC. You don’t hear that very much nowadays. Presidential candidates, Senators and Congressmen constantly rip DC, and then try to get there or stay there. People who call it DC tend to like it, because the locals call it DC, whereas people from who knows where call it Washington. I saw a Bruce Springsteen concert once and he called Washington a “wicked place.” And he was playing in Washington. One thing I do agree about is that the number of lobbyists and lawyers upsets the balance of the city. However, there are a lot of great things about DC. DC has more museums than any other city, and most of them are free. It’s nice to go to the zoo for free – that’s a big savings for a family. It’s a great sports town with the Redskins, Wizards, Capitals, Nationals, and DC United. The Nationals have a new stadium and the arena where the Wizards and the Caps play is home to a lot of things to do. There are several great universities – Georgetown, George Washington, American, and Howard, plus the University of Maryland just outside the city. There are a bunch of areas in the city that have great character and nightlife such as Georgetown, Adams Morgan, and Penn Quarter. Next door there’s old town historic Alexandria, Virginia as well as upscale Bethesda, Maryland, with more restaurants per square mile than any city in the country. If you’re into the performing arts, DC has the Kennedy Center and other world class venues. DC also has an excellent subway system that is safe and efficient. You don’t need a car to live here. You’d be hard pressed to find a large city with more trails than DC. In the DC area, there are more than 800 miles of jogging and biking trails and 230,000 acres of parkland. Because of Rock Creek Park, DC has more trees per square mile than just about any other city in the U.S. DC is an hour and a half from beaches to the east and an hour and a half from mountains to the west. There’s more to DC than national politics. There are 600,000 residents, most of whom have nothing to do with the national scene. DC has a large international and multiracial population. And they are taxed without representation in Congress. 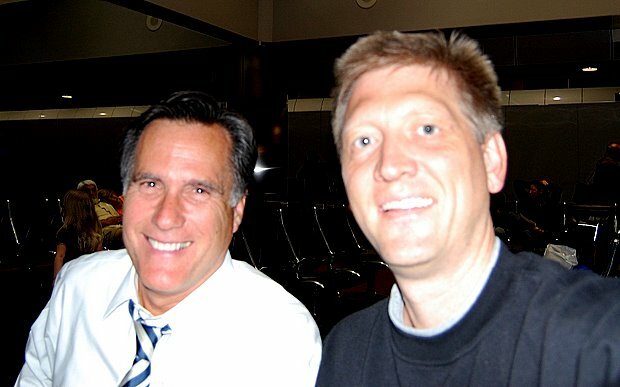 So to show the two sides of DC, I put two pictures up here – one of me with a politician who bashes DC yet tried to get a job there – former Presidential candidate Mitt Romney – (a nice guy, though), and another of me with the current mayor of DC, Adrian Fenty. Fenty is an avid triathlete who often bikes the trails of the city. The political commentary shows on MSNBC, such as Countdown, have really gone off the deep end. They were unbelievably biased in favor of Barack Obama over Hillary Clinton in the Democratic primaries, and have been even more biased in favor of Obama over John McCain. Let me preface this by saying two things. 1) That I understand that Fox News is so one-sided that it has been a caricature for many years. What Fox and the Rush Limbaughs of the world did with their anti-Hillary rhetoric for no good reason for the last 15 years lasted long enough to impact her chances in this election. And 2), I’m about as Democratic as you can get. Why? · I believe very strongly that poor and sick people should have the same opportunity at health insurance that wealthy and healthy people do. People shouldn’t die fighting insurance companies to cover their bills. · I believe that we should not only try to minimize the damage from climate change, but that we should have a clean environment. Large corporations shouldn’t be allowed to pollute our air, water, and soil, causing the air we breathe, the water we drink, and the food we eat to be contaminated. I believe we need more regulation on businesses to ensure that the environment is safe, and we also need regulation to make sure that products don’t have dangerous chemicals. All of these problems are leading to birth defects and disease. · And I believe that we need gun control so that automatic weapons, etc. aren’t easily available by anyone. So I’m definitely pro-Democrat on most issues. Back to MSNBC. Keith Olbermann, Chris Matthews, and Rachel Maddow have become even more to the left than Fox News is to the right. Strangely, they really jumped on the anti-Hillary bandwagon. It was odd, because Hillary and Obama had basically the same policies. They made Hillary out to be a villain, exaggerating each misstep during the primary campaign, delighting in and ignoring any of Obama’s flaws, being completely unwilling to criticize him at all. But it’s more than the anti-Hillary bias that seems odd. MSNBC was so vehemently against the Republicans that it became ponderous to watch. Olbermann has been the worst culprit. I never would have thought that Olbermann, a former ESPN Sportscenter anchor, would be hosting his own national show on politics. The self-important Olbermann has such a bizarre style, yelling into the camera and constantly slamming his opponents. He is so over the top. There’s nothing worse than people who think they are much funnier than they are. I never thought I would defend George W. Bush, John McCain, and Sarah Palin, but Olbermann’s commentaries against them have become personal and nasty. Olbermann also had a couple of nasty special comments for Hillary Clinton, blowing campaign miscues way out of proportion. One other thing – you have to wonder about someone who constantly yells and screams while on TV. It’s not professional. I’ve had the same criticism of Tony Kornheiser and Michael Wilbon on ESPN. In sports it’s more understandable, but even then, stop yelling all the time. I believe in telling it like it is, but Keith has gone way off the deep end. Olbermann is now wearing those wire rim glasses which fit him perfectly because he is so pretentious. Matthews may be just as bad – because though his bias isn’t as blatant as Olbermann’s, his show is ostensibly more objective, as he interviews people from both the left and the right. However, he was clearly anti-Hillary, and his rhetoric was almost all pro-Obama against McCain. His stream of consciousness statements have become increasingly wacky. He interrupts answers of his interviewees constantly with non-sequiturs. Some of the panelists are amused by his humor; others clearly are laughing at him. His increasing bias has left him on the sidelines rather than in the game. He used to be a heavyweight; now he’s a lightweight. Finally, if Rachel Maddow is so deserving of her own show, why would so many commentators have had to congratulate her so much for the first two months of her show? CNN is probably a little more boring, but at least they are more objective. Part of the problem is that politics has become too partisan. The shows are simply a moderator interviewing one person from the left and one from the right – each one equally biased. And these are the objective shows. Fox and MSNBC are heavily slanted in one direction. This us vs. them mentality isn’t anything new, but people can take news shows more seriously if they at least pretend to be objective. Whereas most people understand that Fox News is a joke, I think that most reasonable people are now understanding that MSNBC is too. Maybe I should just watch PBS. P.S. If there was any doubt that MSNBC was not a channel devoted to news, on Friday, November 28, just two days after the terrorist attacks in Mumbai, India, MSNBC showed a highlight show of the most wild videos caught on tape, or something like that, while the attacks were still going on. One of the things I don’t like about major league baseball is that the small market teams don’t have a chance to win because the sport doesn’t have enough revenue sharing. (As I write this, the Tampa Bay Rays made it to the World Series, but that was an aberration). We complain that the NFL has a lot of turnover with its rosters, but the fact is that most NFL teams have a chance to compete every year because of revenue sharing, whether they are in New York or Green Bay. You can’t say that about baseball. In fact, it’s really disgusting how the Yankees constantly buy up all the great players. They took Mike Mussina from the Orioles, Randy Johnson from Arizona, Roger Clemens from Toronto, Alex Rodriguez from Texas, and even Johnny Damon from Boston. I usually don’t think it’s right to enjoy the misery of others (except in the case of the Yankees). So every year they don’t win the World Series (eight years and counting) is a good year. They won four out of five years before that, though, while teams like Pittsburgh, Kansas City, and Milwaukee rarely have a chance at a winning season.